During the event, heroes who create a new warrior in game can get an Autumn Shopping Card. Heroes can talk with NPC SalesSpecialistAlice (Twin City 305,249) to purchase Bound items with Autumn Shopping Card. The Autumn Shopping Card is untradeable and we will not reissue it if it’s lost. 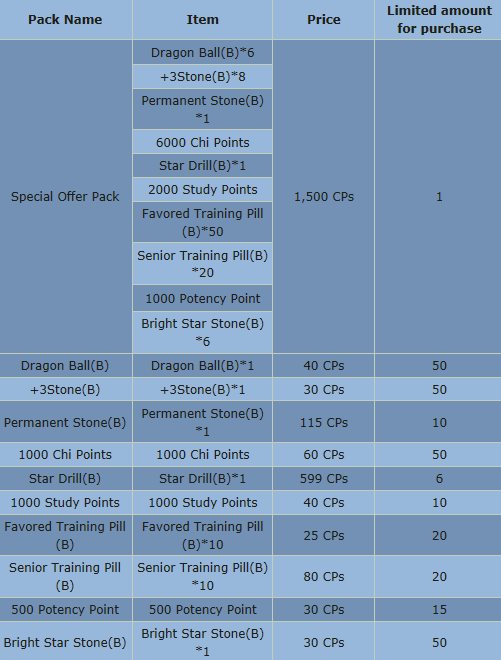 You can purchase the following items from NPC SalesSpecialistAlice. Note: All of the items have a purchasing limitation.